Birthday parties, Weddings, Jubilees and Holy Communions are always welcome here. The atmosphere and our spacious restaurant make the Landgasthof Reindlschmiede the perfect place for parties and celebrations. 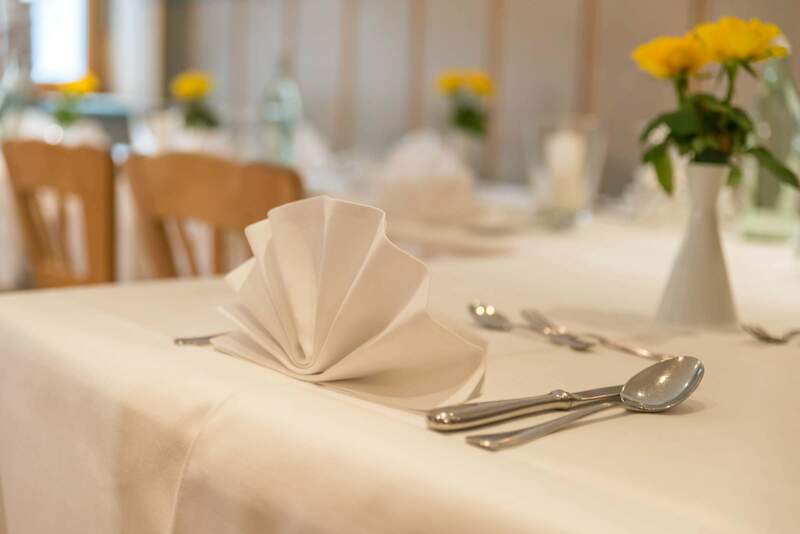 Discover our stylishly furnished restaurant rooms and celebrate with friends and family or with your colleagues from your company. With lots of experience when it comes to parties and celebrations of all kinds, our staff will make sure that your guests are absolutely happy. We will gladly assist you in arranging a menu or organizing entertainment for your event or celebration. Being a real Bavarian country inn, we offer authentic Bavarian “Gemütlichkeit” (a cozy atmosphere) as well as delicious food and beverages. The quality of all our ingredients and products is very important to us and we make sure that you can experience our restaurant from its best side. 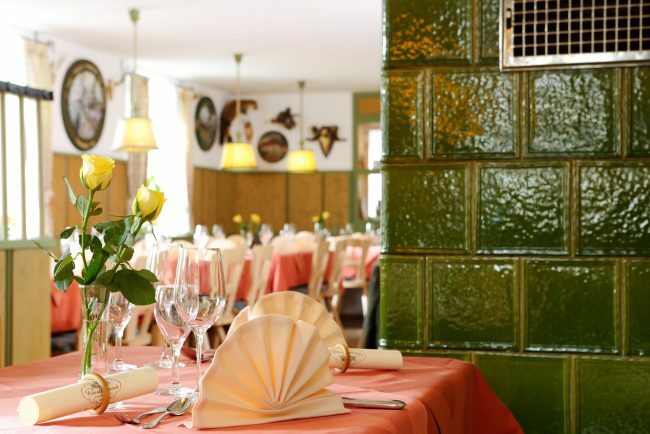 All of this combined with our genuine Bavarian hospitality and our friendly staff will make sure that you can fully enjoy the authentic specialties on our restaurant’s menu. In the summer time, you can also eat outside in the beer garden or on the sunny terrace. A “Salettl” is a nice little garden house. 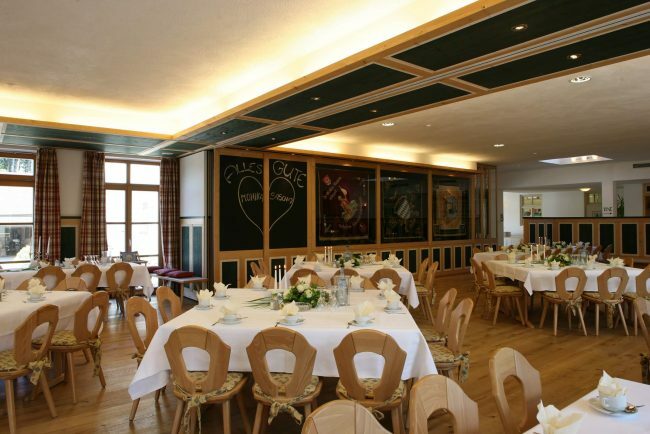 The Restaurant Reindlschmiede’s Saletti is the popular room for small parties, celebrations and other events. 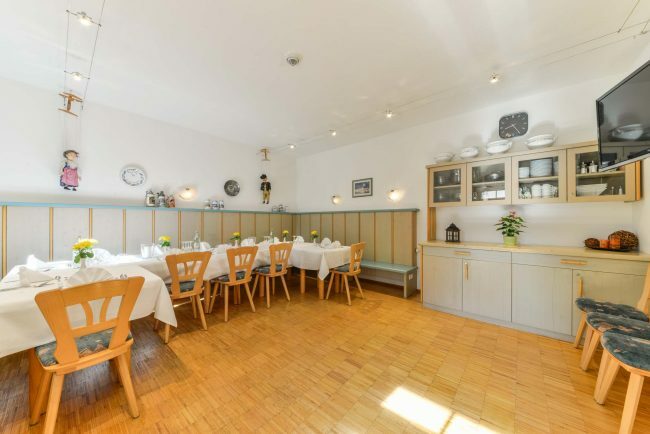 Thanks to the cozy interior design and the Saletti’s location that sets it apart from the rest of the restaurant, you can celebrate with your guests in an undisturbed way. 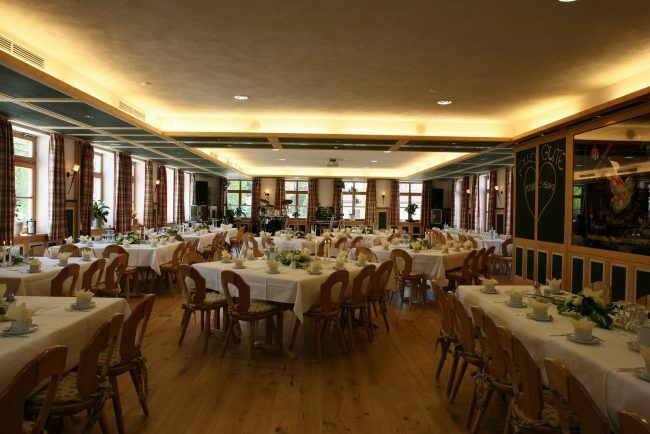 The special wooden ceiling still reminds of the old garden house. The vintage tiled stove is both decorative and provides pleasant warmth during the cold months. Our “Fahnen- und Bachstube” (room of banners and the stream) is a room next to the large Schmiedn-Saal. It can be divided to adjust to your requirements so that any number of guests will feel comfortable. 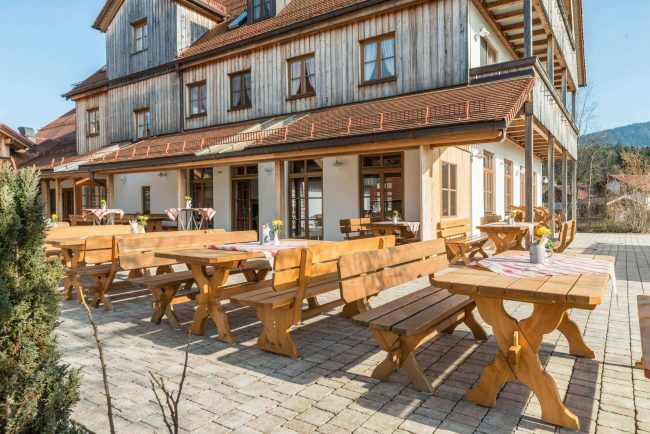 Both parts of the room offer a view of the terrace and the outdoor area as well as the romantic little stream, the “Reindlbach”. 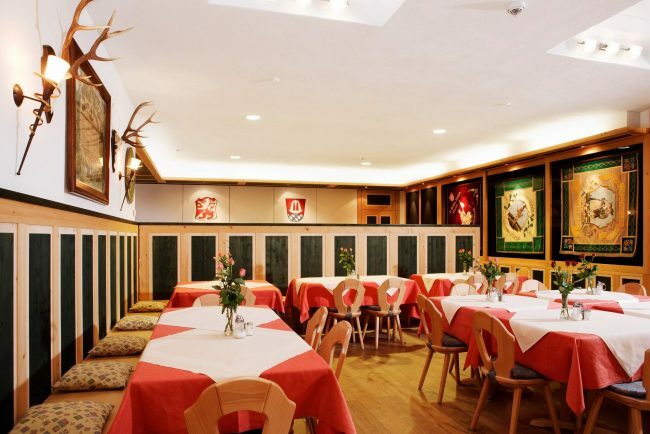 The Fahnenstube offers enough space for about 25 guests and the Bachstube is large enough for 45 gusts to sit down. The Fahnenstube is often used to welcome the guests of large events. 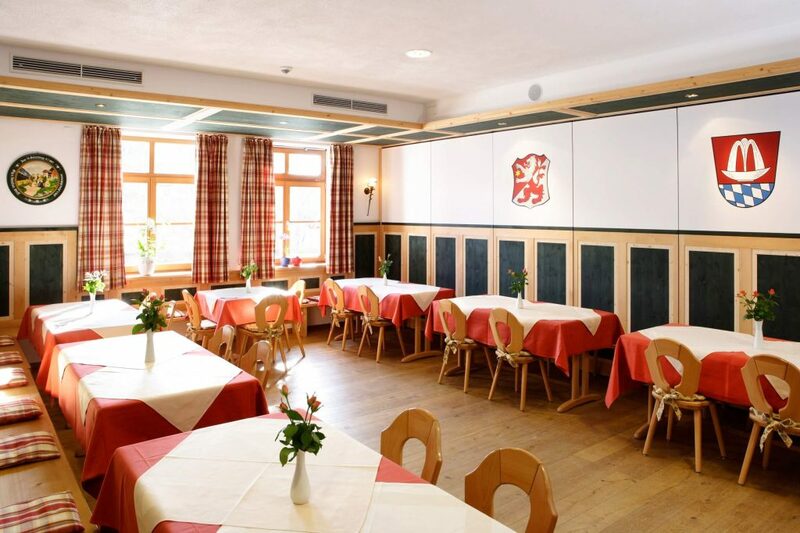 The “Eckstüber’l” (small, comfortable corner room) offers enough space for up to 20 guests, which makes it ideal for conferences, celebrations and other gatherings. One of the best features of the tasteful Bavarian interiors are the beautiful wooden wall panels, which will make you feel welcome with their pleasant sky-blue color. Thanks to the sliding door, the Eckstüber’l can be separated from the rest of the restaurant for additional privacy. 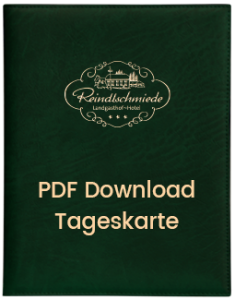 Thanks to its modern technological equipment, the Eckstüber’l is also ideal for small conferences with up to 10 participants. 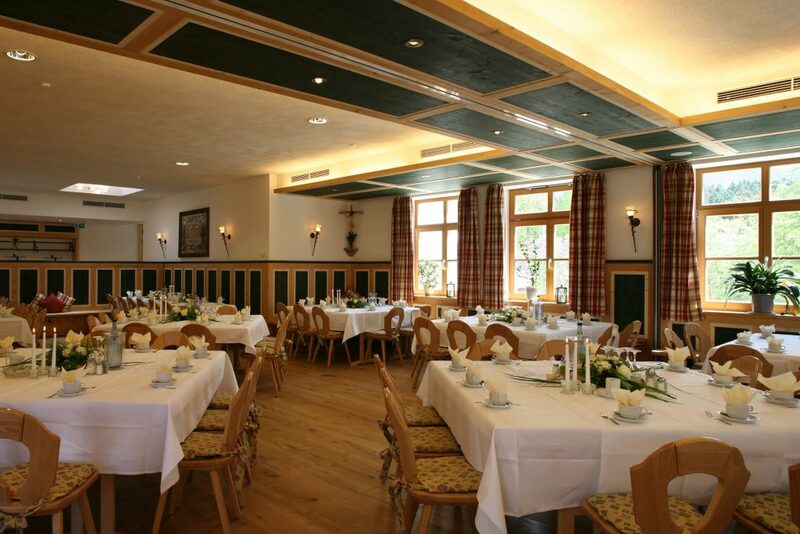 The Schmiedn-Saal is the largest part of the restaurant and offers enough space for up to 199 guests – up to 180 for weddings and up to 160 for events with music and dance floor. 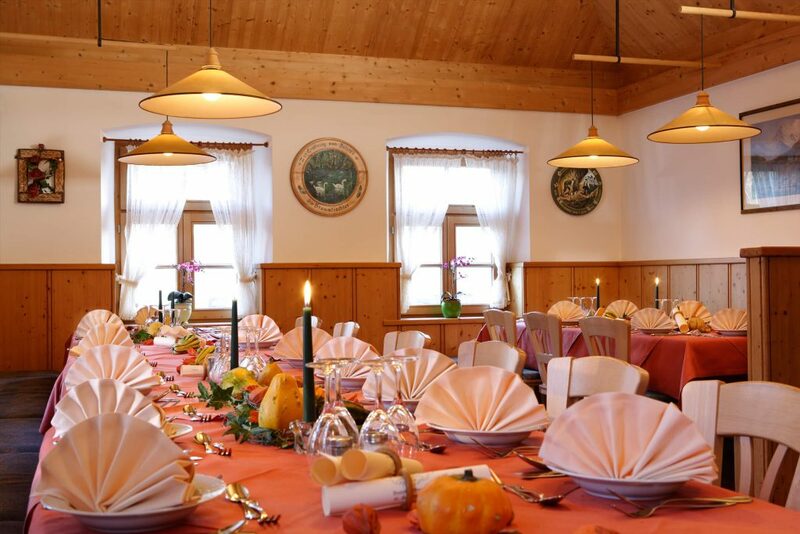 The large windows provide lots of daylight; the wonderful wooden furniture and the beautiful wall panels make the Schmiedn-Saal the perfect example for a place that conveys the famous Bavarian “Gemültlichkeit” (a rustic homely coziness). However, the Schmiedn-Saal is part of the new building annex and features modern technical equipment. A sound system and a sophisticated lighting concept guarantee a great atmosphere for your event while air conditioning and the ventilation system provide an excellent room climate. Thanks to a flexible room system the size of this room can be adjusted depending on your requirements. Should the Schmidn-Saal not offer enough space for a very large event, the roofed part of the terrace can be used as an additional room. This way, weddings with up to 199 guests can be celebrated here. In our beer garden, guests can stay cool even at high temperatures. Among the trees that offer shade and with lots of space to sit together comfortably, the beer garden is the best choice for groups and for anyone on a day trip to the area who visits the Reindlschmiede in summer. 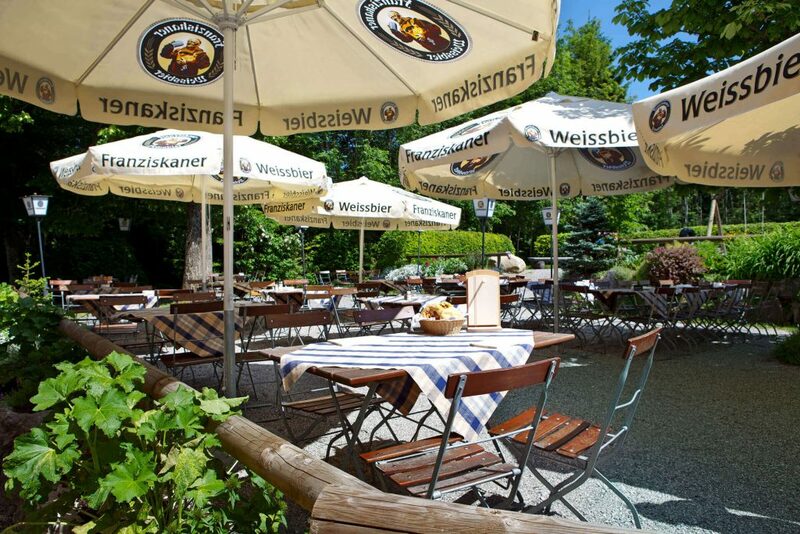 No matter if you are taking a break on a bike tour through the valley of the Loisach or if you are looking to spend a nice summer evening, our beer garden is just the place. We open our beer garden to guests as soon as the weather is warm enough. Our newly built playground is a fun place for old and young to play soccer or have a good time playing around. 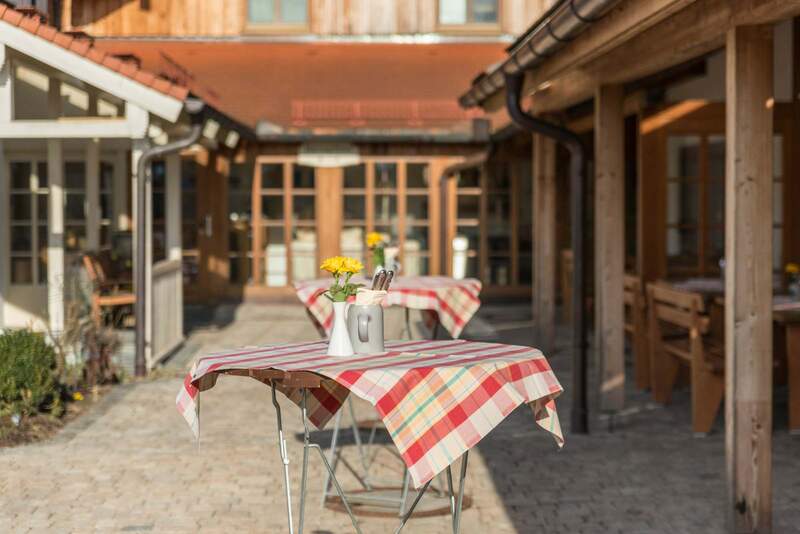 The terrace is the logical extension to our rustic restaurant. 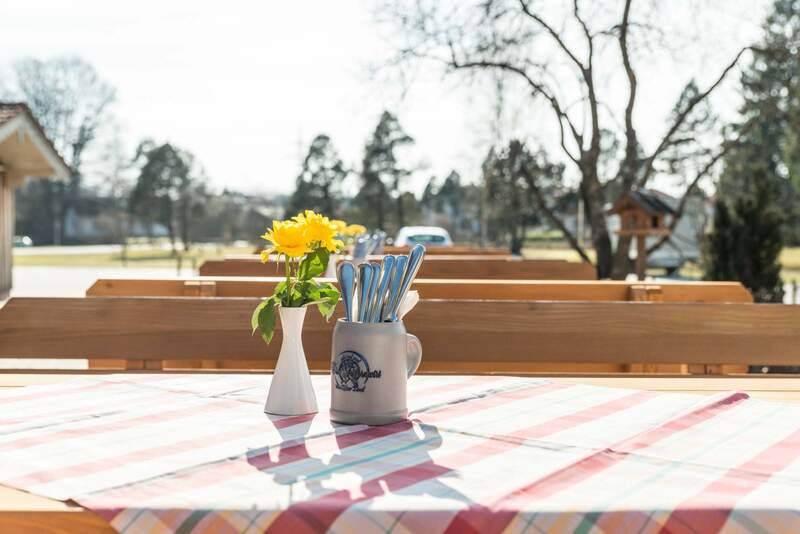 Due to its great position, the terrace already becomes a comfortable place to sit when the early rays of the sun start warming us in spring. The terrace is a popular meeting point for the participants of seminars and other events to get together for a reception. It is also simply a great place for guests to relax. If you would like to make sure that you can sit on the terrace, it may be advisable to book a table in advance.